MP100 is a positive set trap that does it all. It features a built on nose cone which allows it to be placed directly over an animal's burrow. The front slide can also be removed to use the trap as a flush mount positive set against a entry point on structures. 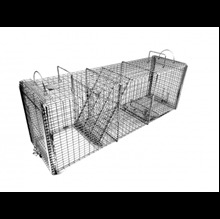 This trap can used as a traditional scent or food bait set. 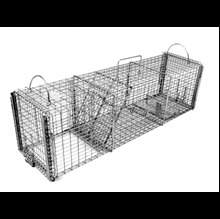 This multi-purpose trap measures 30x8x8 and weighs 14lbs. It is constructed of 1/2x1" wire mesh throughout the trap to prevent bait theft and also prevent animal damage to property. 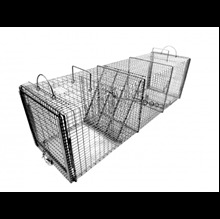 An all around trap that is amazing when dealing with skunks or other small animals that burrow around structures.